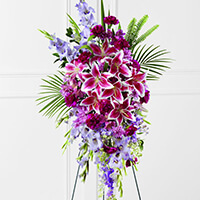 Provide comfort for the family of Howard Stetson with a meaningful gesture of sympathy. Howard B. Stetson, 93, of Warren, passed away peacefully at home surrounded by his loving sister, Margaret and his caregivers Brenda, Joanne, Sandra, Deborah and Kate on January 30, 2019. Howard was born on May 21, 1925 to Harold L. Stetson, Sr. and Leone S. (Currier) Stetson in Thomaston, Maine. Howard attended local schools including Thomaston High School. 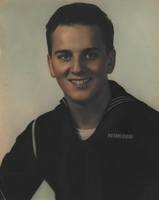 After high school he joined the Navy and served in the Pacific during World War II. After he returned from the service Howard worked in a shoe factory. In August of 1951 he married Helen Carroll at the St. Peters Episcopal Church in Rockland. He and Helen enjoyed 58 years of marriage prior to her passing in 2009. In 1952 he started an autobody shop in Warren, then in 1965 he began selling MGB vehicles. In 1967 he opened his legendary Saab dealership and operated that for over 40 years until he retired. 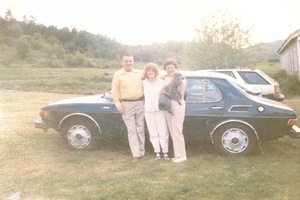 Howard was a top seller of Saabs for many years and was fond of recounting his visit to Sweden to tour Saab headquarters. Howard was a member of the St. George Masonic Lodge #16, the Scottish Rite, the Eastern Star and was a member of the Shriners. He had a passion for ice racing and was instrumental in organizing ice races on North Pond and Chickawaukie Pond. Howard was an avid follower of NASCAR and he also loved driving fast. He was notorious for either outrunning the police or talking his way out of the ticket. Howard was a daredevil, and in his younger years, he learned how to pilot an airplane. He decided to impress his mother by buzzing his plane low over their home, much to the delight of all his younger siblings and to the dismay of his mother. Howard was also a generous man, donating the land where the Masonic Hall was built. Howard enjoyed his time with the “Sunday Brunch Crew” at the American Legion in Rockland. Every Sunday morning, Howard, his brother Walter, his brother-in-law Frank and his good friend Jeff would make the trek (at high speeds!) to the legion where they would take the head table and laugh all morning. Howard would enjoy spending time at his cottage at Crawford Lake, having cookouts and racing his boat across the water. Howard is predeceased by his wife Helen Stetson in 2009, brothers, Harold Stetson, Oswald Stetson and Kenneth Stetson, sisters Helen Gagnon, Elizabeth Noyes, half siblings Waneta Asta- Ferrero, Walter Butler, Jr. and Kay Leary. He is survived by his sisters Margaret Damewood of Warren, Audrey Downs of Portsmouth, NH and Pauline Wright of Groveland Massachusetts, as well as many nieces, nephews, great nieces and great nephews. Visiting hours will be held on Friday, February 8, 2019 from 5-7 p.m. where a Masonic Memorial service will be led by Officers of The St. George Lodge of Warren, Maine at 6:30 p.m. and a funeral service will be held on Saturday, February 9, 2019 at 1:00 p.m., both at Hall Funeral Home, 949 Main Street, Waldoboro, Maine. Following the service there will be a reception at the Masonic Lodge on Route 90 in Warren . A Masonic Memorial Service will be led by the officers of the St. George Masonic Lodge of Warren , Maine begining at 6:30 p.m. The Dolham Family sent flowers to the family of Howard B. Stetson. In loving memory. So many good times for so many years. The Dolham Family purchased the The FTD Tender Touch Standing Spray for the family of Howard Stetson.